PINOYMONEYVANTAGE | Personal Finance in the Philippines: Even the Top Athletes Screw up in their Finances. Even the Top Athletes Screw up in their Finances. A few days ago, I was reading about some article on Yahoo! Sports about well-known and highly respected sports hero who are in trouble with their finances and research and learn their downfall of loosing million to billions of dollar earnings. It was so sad that these guys that we worship and idolize as sport fans learn the hard truth when they make mistakes of not saving for the rainy especially after they retire from the sports that we watch and mimic their moves. An example of this was the National Basketball Association (NBA) wherein I was a fan of the Chicago Bulls during the time Michael Jordan still rules as the king of the air. Literally speaking, "his airness". Just to name some athletes, Scottie Pippen, a former NBA basketball star did made mistakes with bad business ventures and risky investment he made a couple of years after retirement from the league. 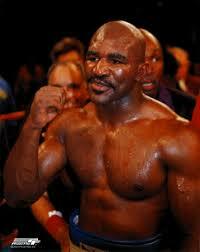 Another one is Evander Holyfield, the former heavyweight champion boxer, also suffering this after his estate is already in foreclosure at the height of the U.S. Real Estate Crisis and the Global Financial Crunch of 2007. Mike Tyson also former heavyweight champion boxer is also facing the same problems with bad decision of buying excesses and too much luxuries and the lavish lifestyle that they cannot attain after they retire from the sport they love. Thinking that the money they earned will never ceased flowing wherein bankruptcy is dangling in their faces.